The social history collection at Beck Isle Museum reflects rural life in Pickering and the surrounding villages from the late nineteenth and twentieth centuries. From kitchen equipment and household appliances to toys and games these items reflect the ordinary aspects of peoples lives. On display in the dairy is a range of equipment used in the process of making butter. 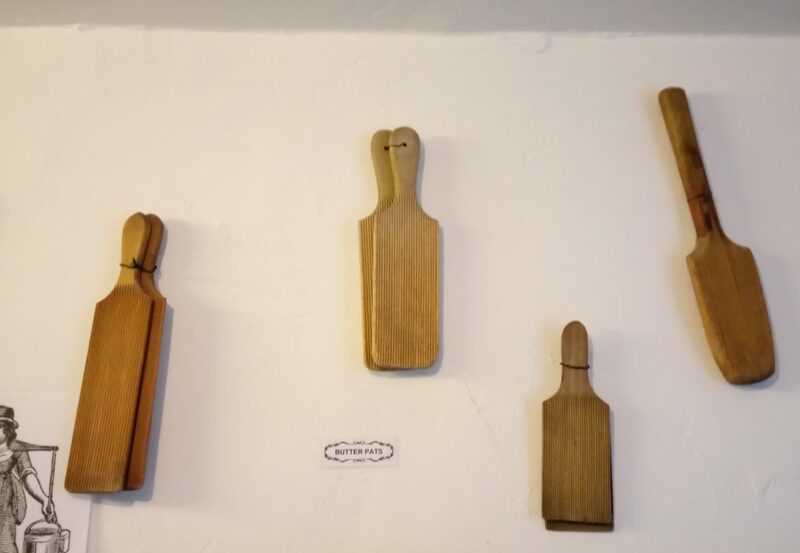 These wooden butter pats or hands were used to shape butter on a butter board. Once the milk had been churned and the water extracted, the pats were used to shape the butter into a block or to press into a mould. This could not be done by hand as butter had to be made at an exact temperature and the butter would melt. There are a number of different sized pats at the Beck Isle Museum, many of which are lightly ridged on one side.